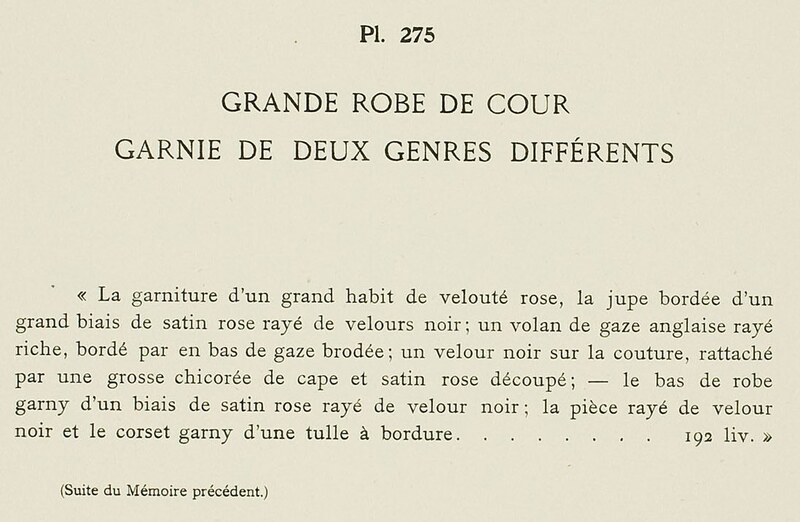 Grande Robe de Cour trimmed with two different types of borders, etc. etc. 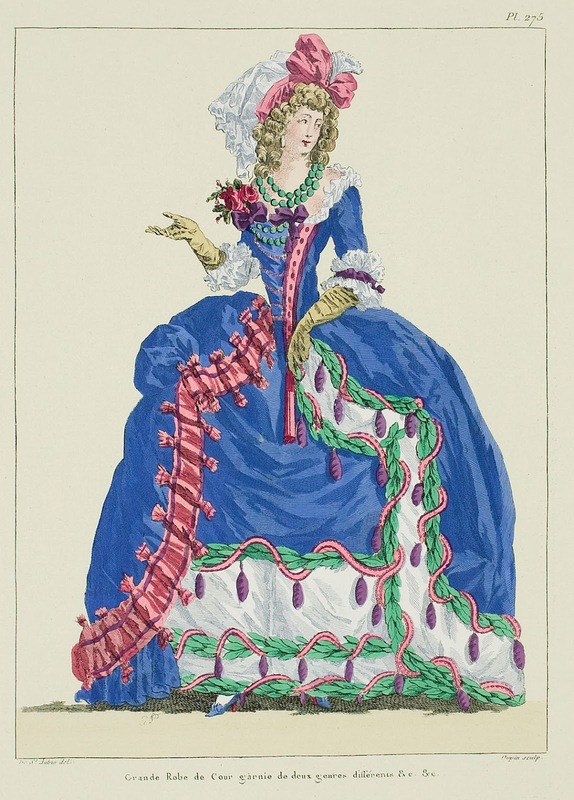 "The trimming of a full dress is of pink velvet, the petticoat edged with a large bias strip of pink satin striped with black velvet: a volant of richly striped English gauze, edged at the bottom with embroidered gauze; a black velvet on the seam, linked by a large chicory of crêpe and pinked pink satin; - the bottom of the gown trimmed with a bias strip of pink satin striped with black velvet; the stomacher striped with black velvet and the corset trimmed with a tulle border. 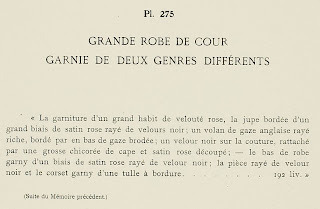 ... 192 livres."